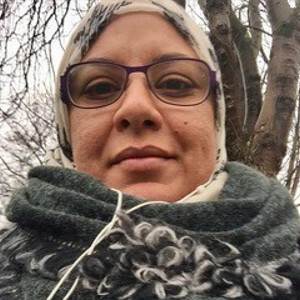 For the best part of her academic career, Dr Salwa El-Awa worked as a lecturer at major universities, University of London (SOAS) (1998-2000), University of Birmingham (2001-2010), Ain Shams University (1993-1998 then was on leave then back to full time from 2011-2015) and Swansea University (2016-Present). In the period between 2004 and 2012 she participated in forming a team of experts in the fields of Islamism, extremism, deradicalisation, and policing Muslim communities. The team was successful in winning a number of research grants from major UK funding bodies (ESRC, AHRC and BA) to conduct research around the areas of policing Muslim and Islamist communities, in-prison deradicalisation and partnership between Police and Muslim communities to prevent violent extremism in the UK and Egypt. Their research findings were disseminated widely and copies of their first report were distributed across the Metropolitan police units and is now held in the House of Commons’ library. They were invited to talk about their research findings in a number of high-profile and influential venues such as the FCO, NATO, Metropolitan Police, House of Commons as well as a large number of international universities. They were also invited to provide police training on the partnership approach to counter-terrorism in the UK and Egypt. Their academic publications, individual and joint, included a book on the history of the Egyptian Islamic Group (EGI), a book on community based approaches to counter-terrorism policing and several other books and journal articles.